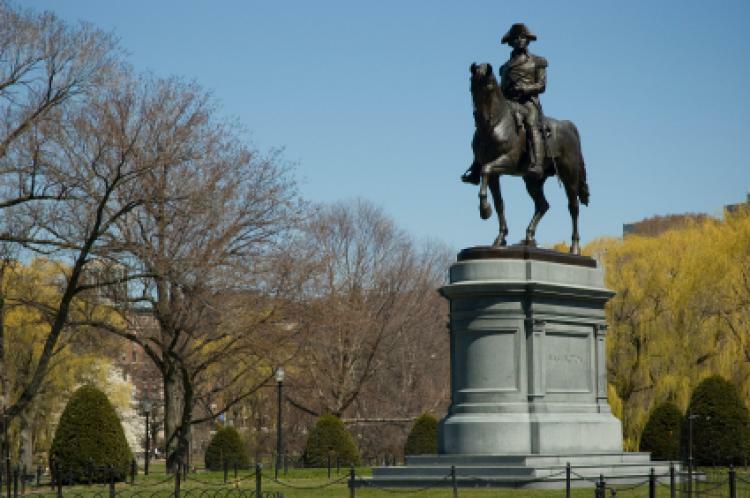 When Is Evacuation Day 2020 in Massachusetts? Evacuation Day is a public holiday in Suffolk County (including Boston), Massachusetts, in the United States on March 17 each year. It celebrates the date when the British troops evacuated Boston during the American Revolutionary War. Boston is the seat of Suffolk County, where various activities are held each year to remember this event. Is Evacuation Day a Public Holiday? Evacuation Day is a public holiday in Massachusetts, where it is a day off for the general population, and schools and most businesses are closed. General George Washington (statue pictured above), who became the United States' first president, is remembered on Evacuation Day. Evacuation Day coincides with St Patrick’s Day, also on March 17. This gives a reason to celebrate especially as many residents in Suffolk County are of Irish descent. Moreover, the Irish Catholics are remembered on this day for their efforts in helping General George Washington defeat the British soldiers on March 17, 1776. Activities on the day may include Evacuation Day re-enactments, essay contests, and visits to historically significant sites. Evacuation Day is a public holiday in Suffolk County, Massachusetts, so many public offices and educational institutions are closed. Certain holidays in Massachusetts are subject to laws which restrict the type of work that may be performed as well as the kind of business and commercial activities that may remain open. Evacuation Day remembers the first major American military victory in the American Revolutionary War, which saw the British troops leave Boston on March 17, 1776. General George Washington, who became the United States’ first president, fortified Dorchester Heights by using cannons captured earlier from Fort Ticonderoga. The armies lobbed shells at each other during the movement, with colonists escalating the action on March 4, distracting the British soldiers’ attention. General William Howe, of the British Army, woke up on March 5 that year to find that there were heavy guns aimed at his solders and down at the British fleet. Rather than repeat the heavy casualties of the Battle of Bunker Hill, the British troops left in haste on March 17 and never returned. This was a major psychological victory for General Washington and the colonists. The American Continental Army’s sacrifices and efforts played a big role in establishing what is known today as the United States of America. The Evacuation Day holiday was proclaimed in 1901 after a failed attempt in 1876. Dorchester Heights, an area in South Boston, is remembered as the place where the rebel troops placed heavy artillery to Boston and perched them atop from where they aimed for the British warships. This area is a point of strategic importance because of its elevation and commanding view of all of Boston and Boston Harbor. The Dorchester Heights monument, which is built of white marble, commemorates the events associated with Evacuation Day. * Only some parts of Massachusetts observe this holiday.